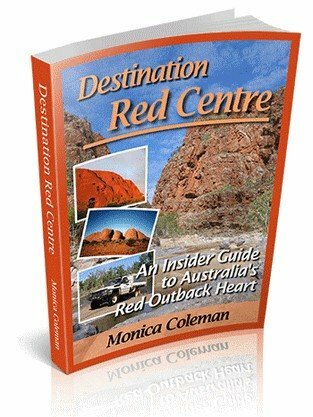 The Kimberly in Australia is one of the remotest, wildest and most beautiful regions on earth. For me it was love at first sight, and a good enough reason to move here permanently. 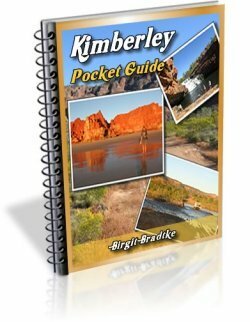 That's right, the Kimberly Australia Travel Guide is written and maintained by a Kimberly resident, not by some tourism business. I hope you enjoy it, find it helpful, and when you visit here I hope you will love it as much as I do. 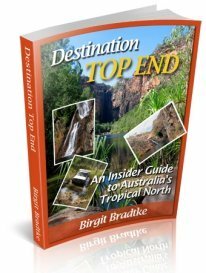 This Bungle Bungles guide makes sure you get the most out of your visit to Purnululu National Park. 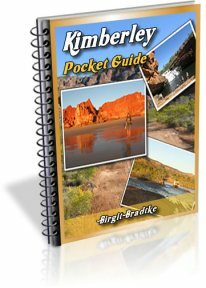 Travel information and pictures of all Kimberly national parks: I chose my top three (Purnululu, Mitchell River and Tunnel Creek), which are your favourites? Broome - What Is It Really Like? Does Broome in Western Australia live up to the promises of the travel industry? The opinions on Broome are divided. In the local Aboriginal language Kununurra means Meeting Of The Big Waters. An appropriate name indeed, as water is the most noticeable feature of the eastern Kimberly Australia region. Don't worry if you don't know all that much about Barramundi fishing. I'll tell you where to find the Barra, and how to hook them, right here. The Kimberly Australia photos are grouped by location or theme, and come with explanations and links to more information about the area. Kimberly Climate and Kimberly Weather The Kimberly climate is defined by distinct wet seasons and dry seasons. We have no spring, summer, autumn or winter, which initially confuses visitors not familiar with the tropics. Here's a guide to monthly weather in the Kimberly.